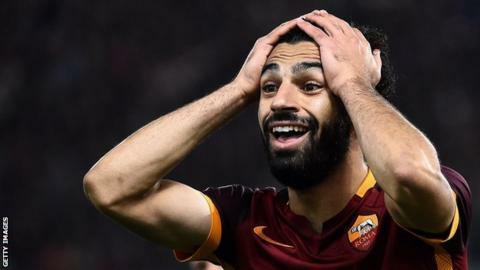 Egypt and Roma winger Mohamed Salah faces four to six weeks out after suffering ligament damage in his ankle. It means the 23-year-old will miss both legs of his country's 2018 World Cup qualifying tie against Chad. Salah was stretchered off in Roma's 2-0 win over Lazio on Sunday following a rash challenge by Senad Lulic. Roma are frustrated about losing their six-goal top scorer and coach Rudi Garcia told their website he feels "players need protection". Salah has been in excellent form for Roma this season and two months ago the Italians made his loan switch from English side Chelsea a permanent move.